UPDATED: Wed., April 4, 2018, 8:22 p.m.
China’s announcement Wednesday that wheat would be among the more than 100 products potentially subjected to tariffs in response to actions by the Trump administration prompted concern from the region’s farmers. Growers are girding themselves for potentially greater losses of foreign markets, following President Donald Trump’s decision to opt out of the Trans-Pacific Partnership in exchange for bilateral trade deals. Washington’s soft white wheat is a highly sought-after commodity in Asian countries, including Japan, where demand is high for the flour used in making fluffy breads and noodles. That has included China in recent years, which has become a much larger customer of Washington’s white wheat. According to the state grain commission, exports have grown from 6 million bushels annually to more than 150 million bushels. China this year already has bought 12.5 million bushels of Northwest wheat, half of which comes from Washington state, Squires said. In a news release, the commission – a state agency representing the interests of wheat and barley growers – suggested China’s announcement, the latest in a series of escalating trade threats made between the Communist country and the United States, may be targeting the very people who put Trump in office. 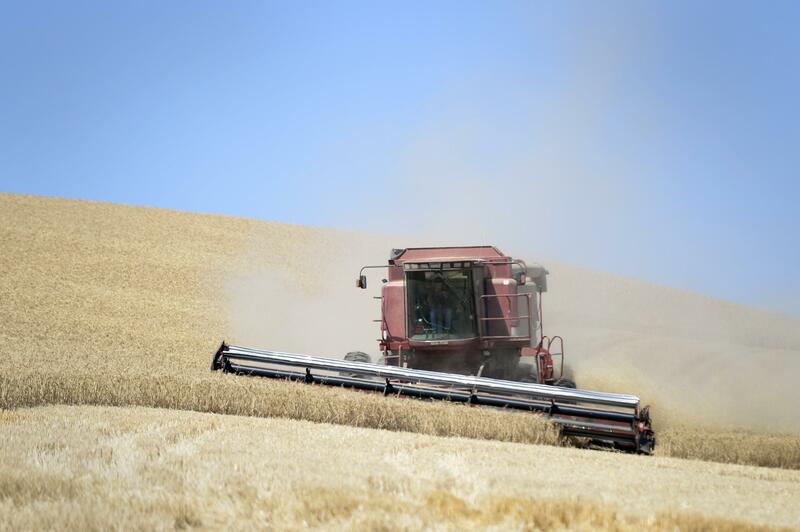 Among Eastern Washington’s largest wheat-producing counties, only Whitman – home to Washington State University – voted Democrat in the 2016 presidential election. China did not say Wednesday when its announced tariffs might take effect, and the news didn’t appear to immediately affect U.S. markets for wheat to the same degree as soybeans and corn, other commodities that would be targets of the new tariffs. But Squires said the announcement creates more uncertainty in a volatile wheat market. Published: April 4, 2018, 5:32 p.m. Updated: April 4, 2018, 8:22 p.m.